Experience is more important than education! The statement gets proved looking at the life journey of Mr. Nilesh Ghusar. 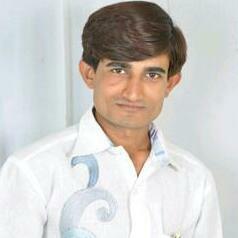 He hails from Gir, Somnath district, Gujarat. At the young age of 28, he is dairy farmer turned manufacturer of low-cost milk dispensing machine. All he wanted was to sell his farm produced milk at market price instead of selling to co-operatives. “In villages we dairy farmers sell milk to dairy cooperatives at Rs. 22/litre or less whereas same milk is purchased by consumers in cities at Rs. 35-40/litre. It was a huge difference and I wanted to bridge this gap. 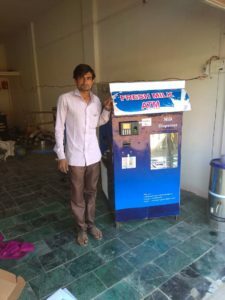 I choose to sell milk directly to consumers but supervising the supply chains was a time intensive task therefore I decided to design and manufacture milk dispensing machine to dispense milk by paying cash or even cashless,” he shares. Inspite of having no formal education in engineering Mr. Ghusar could design the machine based on his visualization and passion for modifying/assembling machine. He named the machine as ‘Milk ATM’. 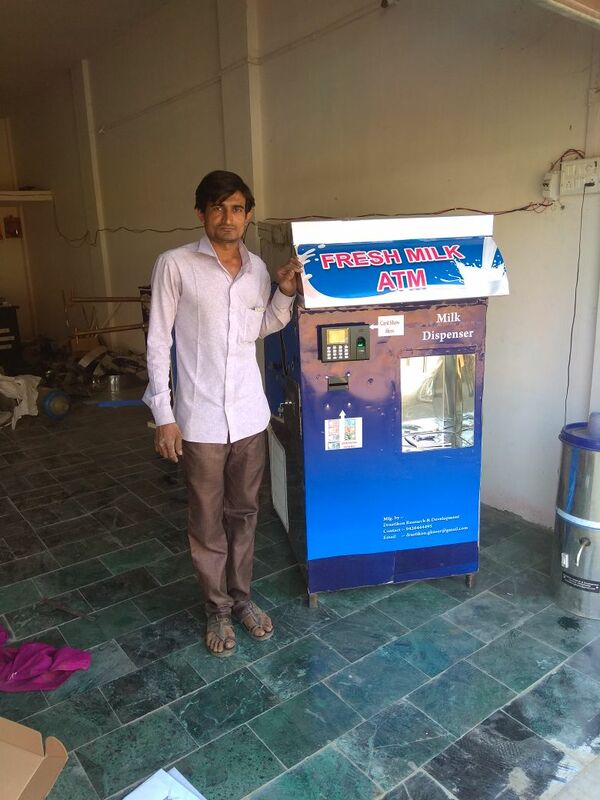 At first Milk ATM was installed in Veraval city, Gujarat in mid 2016 and it gained instant popularity during the period of demonetization as the machine has the feature of cashless milk dispense with the prepaid card, biometric finger printing and lastly username and password. The machine has separate cooling unit that keeps the milk fresh upto three days. Consequently, Mr. Ghusar started getting numerous orders from different parts of the country to make customized milk dispensing machine. “USP of my machine is low-cost and no-maintenance. I had designed it for myself to overcome the constraints that are commonly experienced by small dairy farmers. Therefore even when there are many milk dispensing machines already available in the market my machine is recognized for its unique features and is affordable by dairy farmers having small operations,” he adds. Within a year he has sold more than 30 machines across Gujarat and in other states too namely Maharashtra, Tamil Nadu, Assam and Chhattisgarh. According to the capacity of the machine selling price varies between Rs. 75 thousand to Rs. 1 lakh. Mr. Ghusar received overwhelming response for his machine hence he formally established company ‘Drastikon Research and Development’ to manufacture and sell milk dispensing machine. Speaking about customization, he says, “Capacity, mode of payment and quantity of milk dispense of the machine is mentioned by the client. Based on the specifications given the machine is made. Capacity varies between 50 litre to 1000 litre. Recently I have also introduced mobile milk dispensing machine. It is installed in the auto/e-rickshaw so is moveable. It gives more flexibility to the farmers in terms of milk refill and reaching the wide customer base.” All variants of machine are made from stainless steel. Raw materials and spare parts are procured from Ahmadabad, Mumbai and even imported from Taiwan. The machine is maintenance free. “I have kept the design simple and functional so it is absolutely free of maintenance. I have consciously done so because my attention is on farmers having small dairy operations. The ultimate motive is to enable these farmers reach the customers directly and sell the milk at the market price using only button and spouts. In case of any breakdown it can be rectified through a telephone chat,” he asserts.